Bosch was going to get the last laugh as you will soon see. I have used laser levels on my projects for the last 15 years. For many years that meant a large expensive Hilti rotating laser. I used it both inside and outside for grading, footings and concrete forms all the way through framing, siding and more until the last cabinets and moldings were installed. In recent years prices have gotten lower and lower and the units have shrunk even more. I now rarely use the rotating lasers as most of my jobs are inside these days. Fixed beam lasers are easier to use inside as they have a constant line which is easier to see at any given moment. 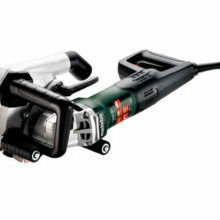 This Bosch GLL2 is the smallest and one of the least expensive lasers I have ever used. 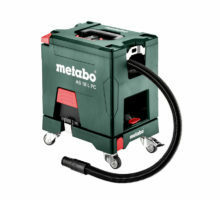 It comes with batteries and a base/clamp for mounting to a stud or pipe or anything else that will fit in its jaws. Since it is a cross line laser level It has a horizontal and a vertical beam. You can have one or the other or both depending on the task at hand. 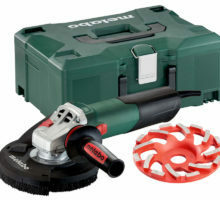 At $39.00 at Home Depot it is affordable enough to land in every tradespersons toolbox or bag. I literally cannot think of a trade that wouldn’t benefit from a small yet accurate laser level. If you can come up with one let me know. Our electrician has used it on electrical runs to get receptacle box layout straight and conduit and EMT level and plumb. 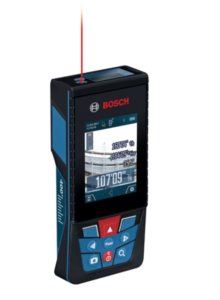 Our HVAC technician has really enjoyed using the Bosch laser to get his trunk lines perfectly level and in a straight line. 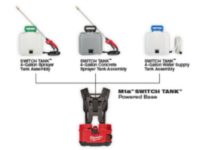 I have used it on cabinet installs and it has worked flawlessly. I checked and rechecked and it matched the accuracy of larger, much more expensive lasers in kitchens up to 18’ Long. On somewhat larger areas I expect similar results. I have also used it to set showers and bathtubs and for tile layout on walls. It has never given me a false reading with any of it. All Lasers have some cons no matter what the price. I want to mention that it is not as bright as the other larger more expensive lasers that I use. We can’t expect it to match 500.00 green lasers on every point. Because of this there is a more limited range. 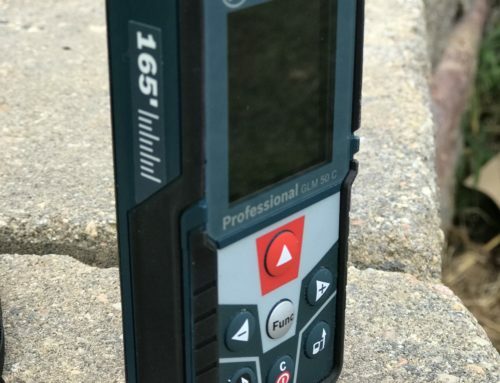 The price point is one of the lowest I have seen for a cross line laser level from any brand. 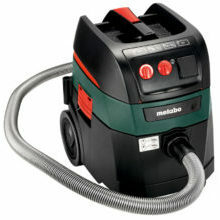 The fact that it is a name brand like Bosch and it actually works makes it that much better. 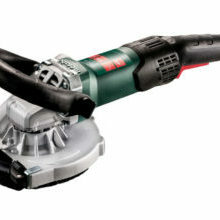 I never expected the Bosch GLL2 to be as good as it is. It exceeded my expectations and I feel it is worth a look if you don’t have a laser level already. 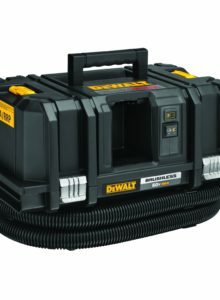 If you do have one I recommend it as a backup for when your helper knocks your expensive one to the concrete. 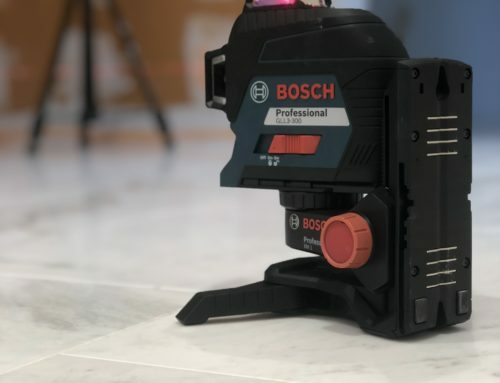 The Bosch GLL 2 Self-Leveling Cross-Line Laser is a compact and high-performance leveling and alignment solution for professionals. 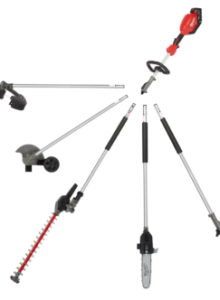 Easy-to-use one-button operation allows the user to choose among cross-line, horizontal or vertical modes, depending on the application, and it provides an accuracy of ±3/16 In. at 30 Ft. 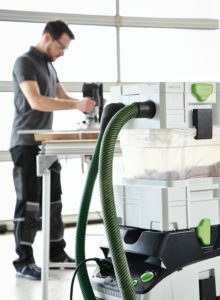 The unit includes a flexible mounting device that can clamp to practically any interior surface for maximum versatility. Looks like a great inexpensive laser. Thank you for reveiwing a real-world practical tool. 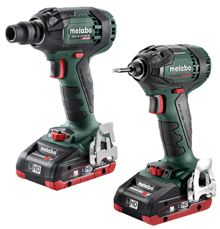 This is something that tool-snobs wouldn’t consider and blue collar guys like me can afford. I’m a reclaimed woodworker and do a lot of feature walls in homes and offices. This would be great for establishing a level line to work off of. Sometimes that’s a difficult thing to do as a one man operation when you’re dealing with levels and chalklines. I could really put it to use! 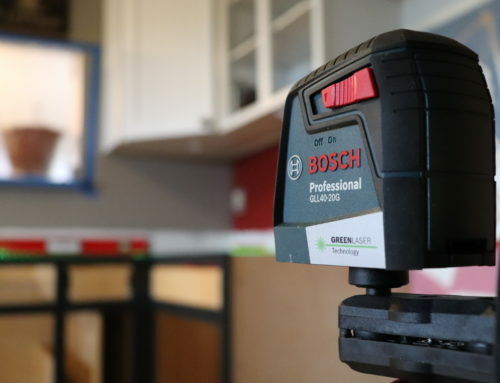 @kennedyoriginal have been wanting a laser level.. currently building kitchen cabinets for my house.. 95 year old home everything is out of level. :0 picked up makita track saw based on instagram reviews, was best purchase of the year. I went to go buy this after I saw it on your Instagram feed but they were out! Looks like a promising tool despite the low cost. Amazing times we are living in. This would be great laying out boxes as a sparky . 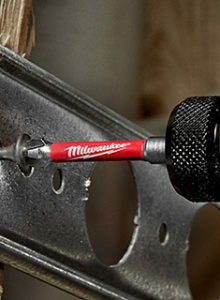 I’m hesitant to buy the lower priced tools as they tend to wear out quickly or not be accurate. This is a great review that makes me feel comfortable getting one. Nice review! I’ve been looking for a budget-friendly laser level for a while now this might be the answer. I could definitely use this for my cabinet installations. Upper cabinets especially on longer walls, instead of transferring pencil lines around the room. Saw you at IBS this year! Great page with honest reviews. Currently attending tech school for architecture and construction in SD. Would put this laser to many hard days work!! Awesome review ? could really use this on my projects. Love the review, and I love the page! I always enjoy the various helpful tools you guys review. 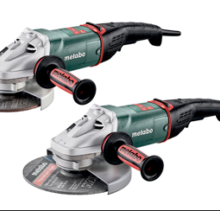 Love seeing a review of a quality tool at a price point that any tradesman or DIYer could justify investing in. Thanks!! Thanks for the review buddy! Use several lasers non stop as a GC. Framing, drywall, hanging hardware, cabinets, tile setting, man I need. 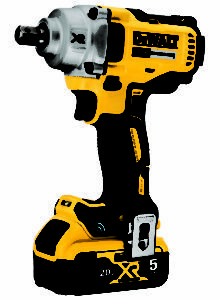 I love compact and I love Bosch. Great tool. Really nice to have to remodel my kitchen. Makes setting all the cabinets square and plum. Also would work great for hanging pictures down, or mirrors down hall ways. I definitely can use one. I’m a superintendent in manhattan and I’m always running into installing kitchen cabinets for my shareholders.My friends keep telling me about how great this laser is for installations. I don’t own a laser level myself but I’ve loved every moment I’ve gotten a chance to use them! Can’t go wrong with having one, such a time saver! I want one! Been looking for a good lazer level to keep in the toolbox. Always had rotary lasers for site work but this would be good for indoor projects. Thanks for the comparisons and review. Great review! Used an old rotating level for years but this would definitely make life easier! Self level light is a great feature. Great review. This would be nice for any trade. I’ve always been thinking about buying one but I have been afraid to. I could use a small one for a little side jobs and odd jobs around the house. Looks like a great laser. Love the fact that you can lock it in certain positions… as a painter, I could find good uses for That! Looks like a “nice to have” tool in my box. Love how compact. Would love to have one. Thanks for showing the trade the ups and downs of all of the tools on the market. Saves me so much money and time. 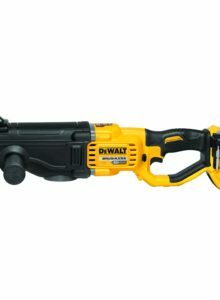 I’d love one of these for some around-the-house projects. 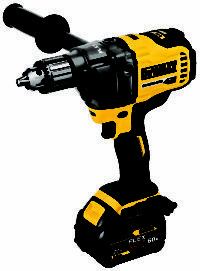 This is one of those tools I always think would be great to have when it’s too late- just never been in the budget. Love the format of this review- the quick summary at the end is really nice. 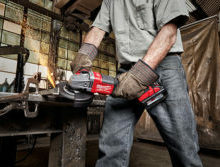 Looks like a great tool at an affordable price! This is awesome. 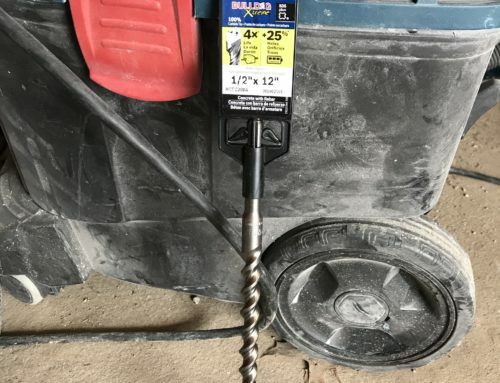 I’ve only recently gotten out of the shop and doing some installs, and this would be great for that. I have really been looking at a laser level. I’m a apprentice electrician. And one would really be useful. Love the small and convenient size would make tiling in a small bathroom a breeze. Thanks for all the helpful info! 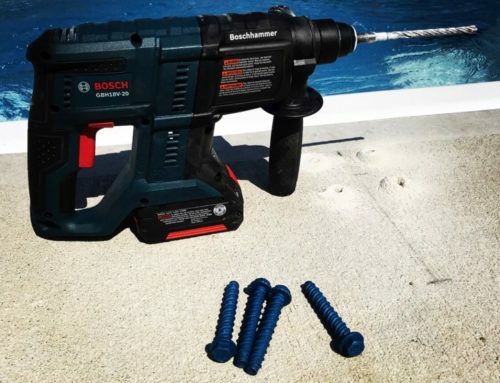 I’m a fan of Bosch tools and have been using them for years. Currently renovating a 1930’s house in Baltimore and could make great use of this laser level. Really enjoy your product evaluations. Keep up the great posts. Thanks for the review! 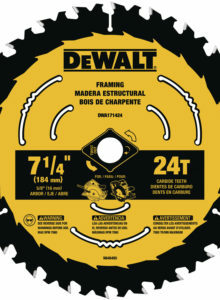 This would come in handy for me doing framing, pipework, and cabinetry. Looks like a great tool! I could definitely use one. Love how compact it is! This looks like a fantastic bang for your buck! Love the fact that it has an integrated clamp for mounting on studs!